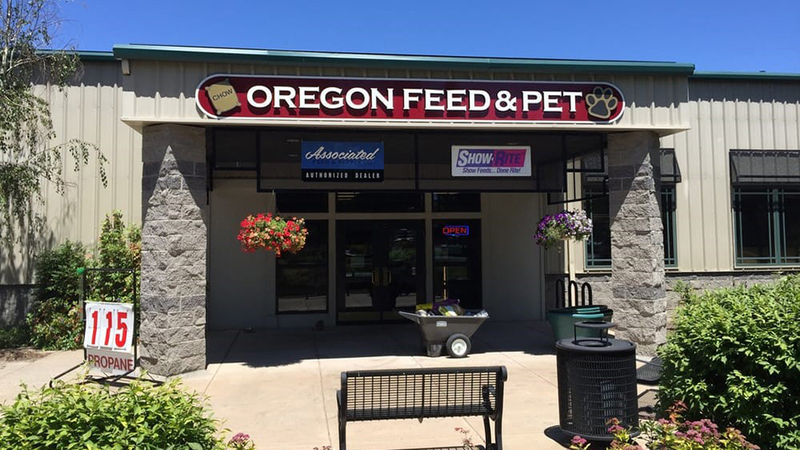 Locally owned and operated Oregon Feed and Pet is located in the Old Mill District on Scalehouse Loop. Oregon Feed & Irrigation is the Bend location’s sister store located off of Highway 97, north of Redmond. These are stores that are set up to supply you with just about anything you might need for virtually any type of animal. Whether you have a teensy tinsy dog you like to carry in a bag or a steer you are raising up for the fair or you are somewhere in between with some hip chickens eating your kitchen scraps in the backyard, Oregon Feed and Pet has likely got you covered. From dog and cat supplies like toys, food, accessories and health products to the bigger food and advice you need for your farm livestock, their helpful staff and wide selection can help. Both stores feature Haystack Farm & Feeds products as well as Nature’s Variety Instinct dog and cat food. They host an occasional Education Show Series where you can learn about topics like show animal preparation and nutritional talks from animal specialists.